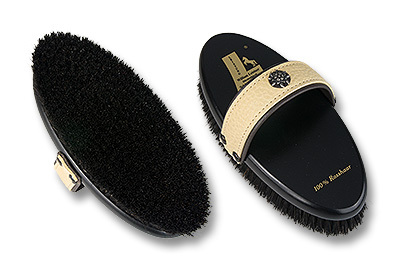 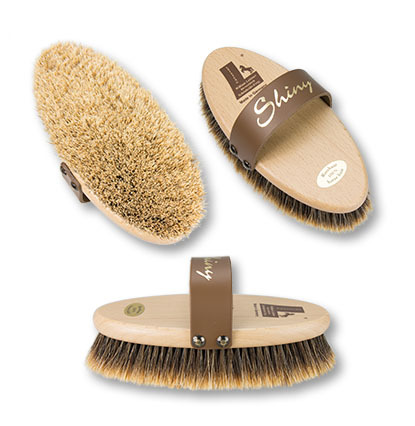 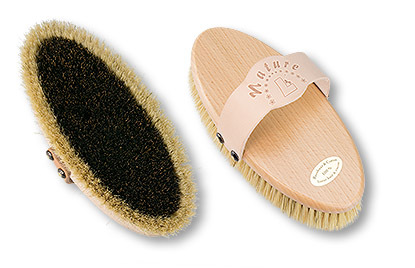 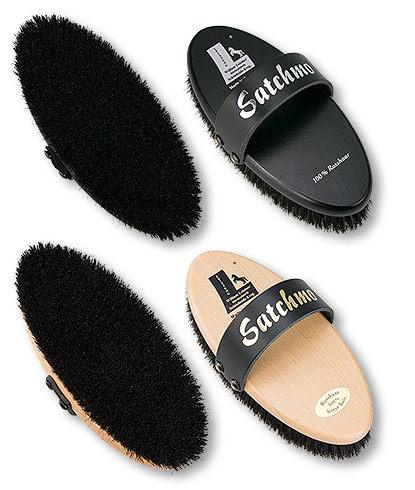 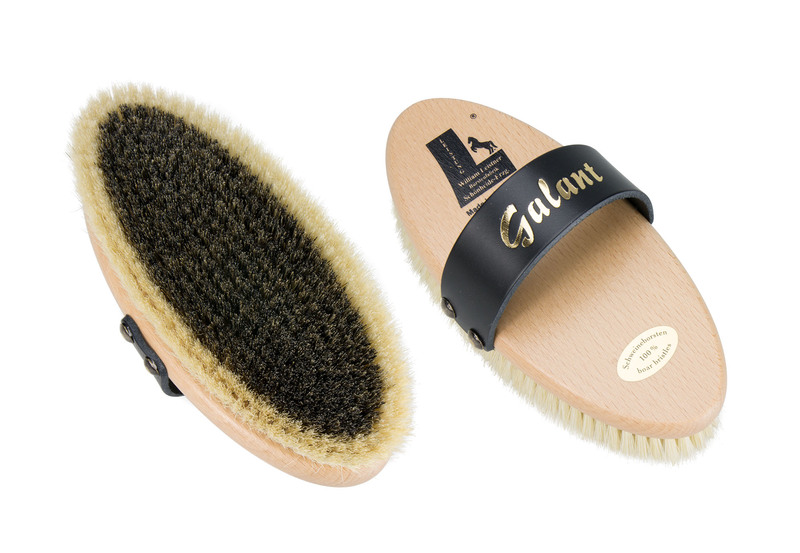 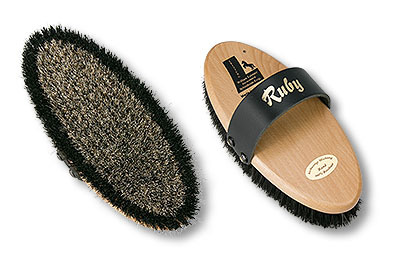 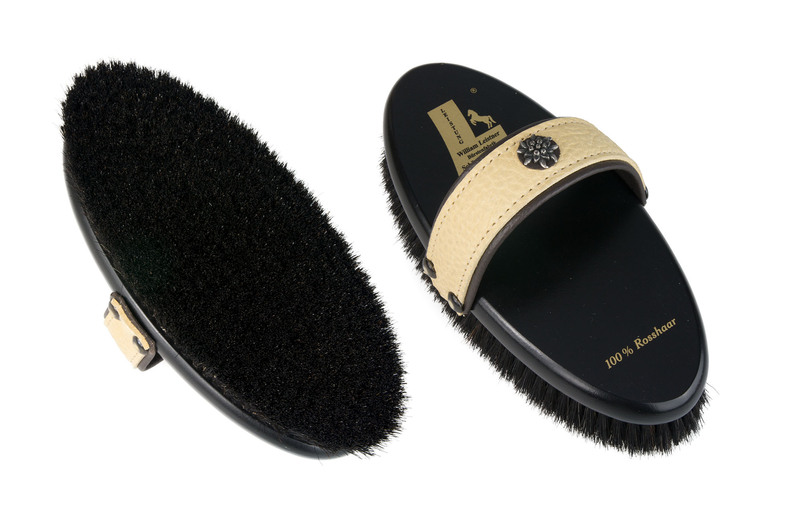 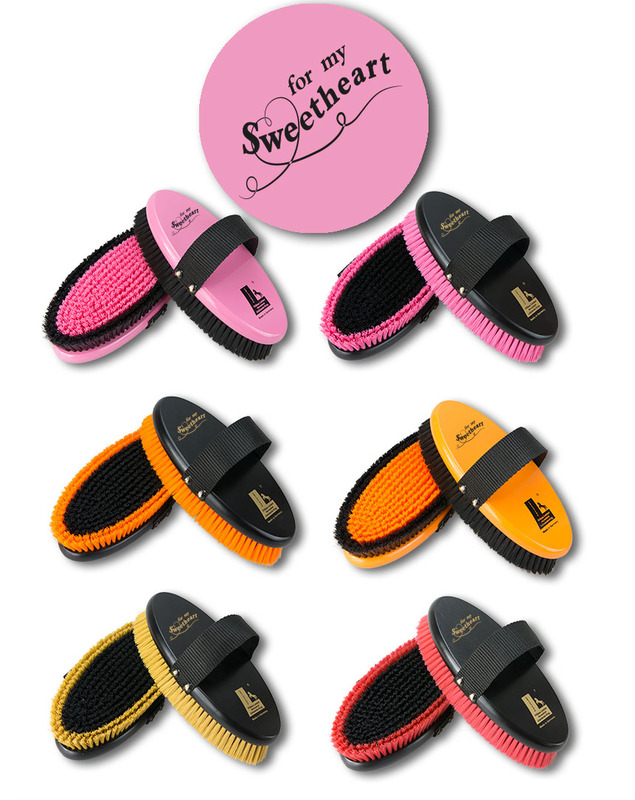 Due to the particularly densely stocked bristle field made of 100 % horsehair the fur gets a special shine. The beechwood back is colourless lacquered, soft leather belt with embossed name "Isländer". 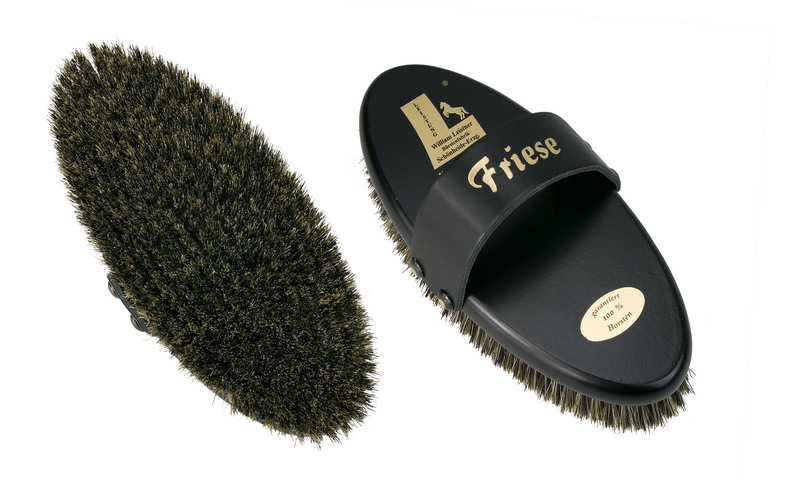 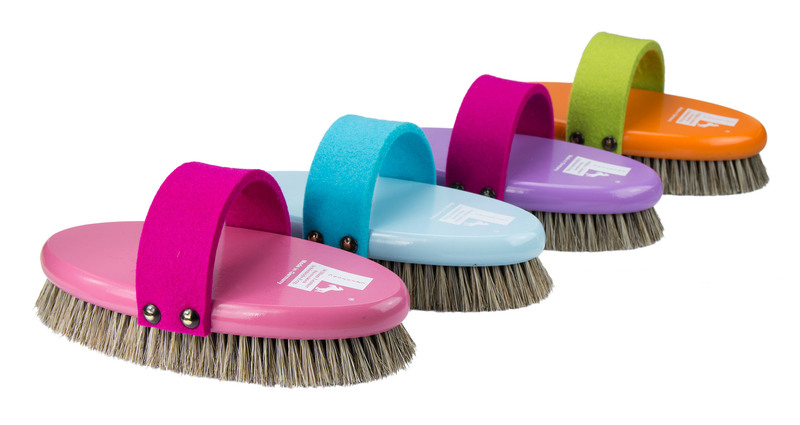 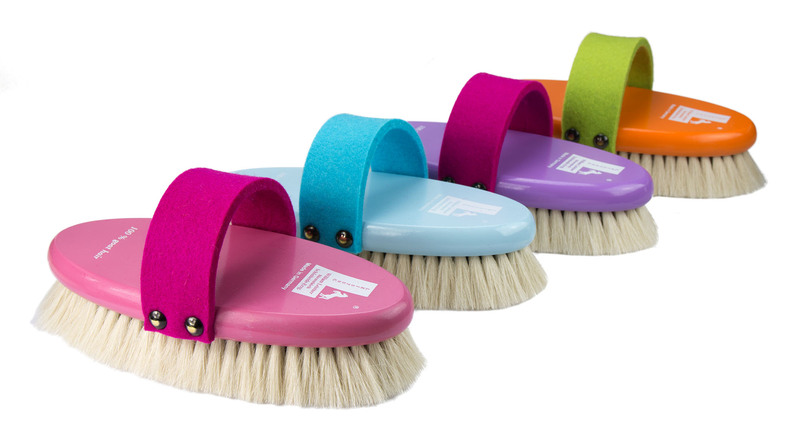 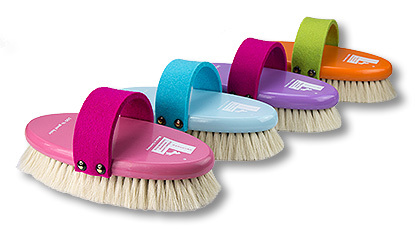 The inclined bristle position allows for variable handling and ensures a maximum cleaning effect. When brushing against the bristle position the dirt is fetched extremely from the depth. 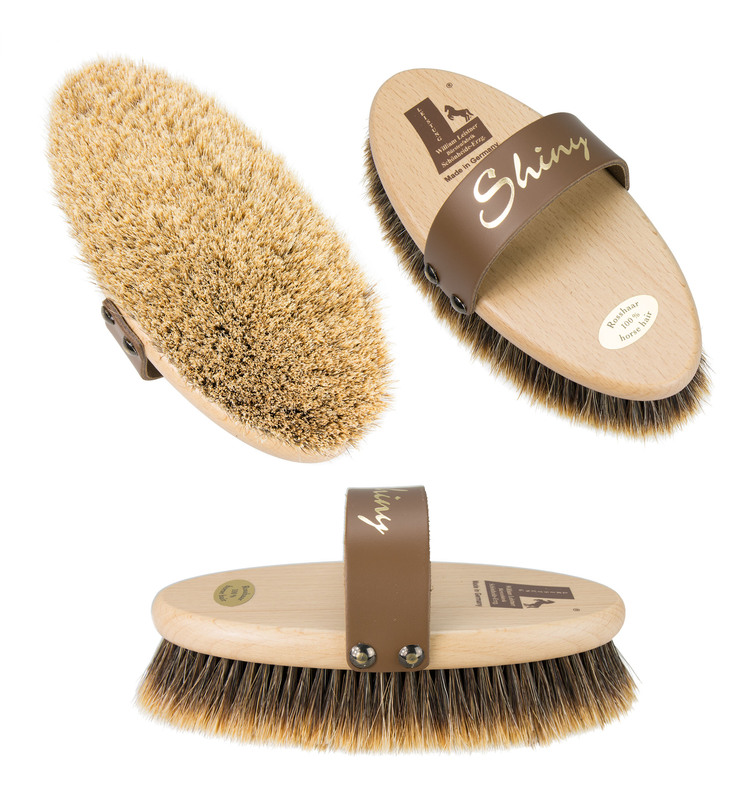 When brushing in the other direction you get a nice shine on the coat. 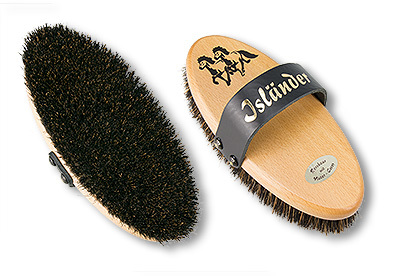 Ideal also during shedding season. 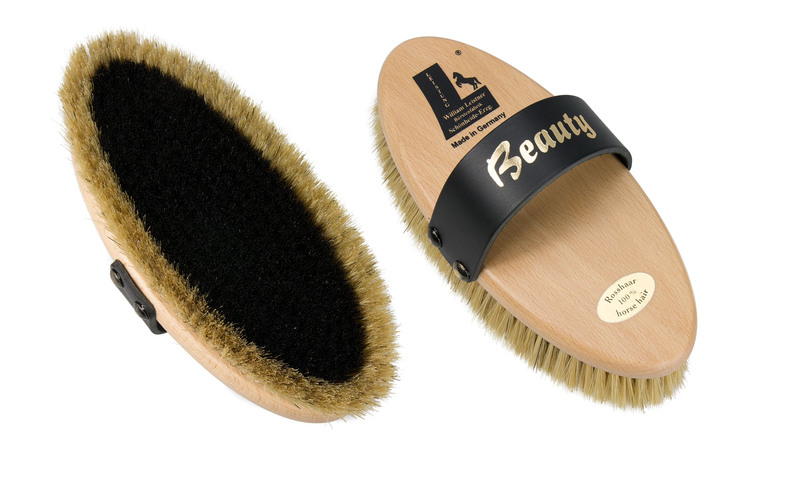 100 % wild boar bristles remove all dust, moisturizing effect to the skin/coat, brown grained beechwood.